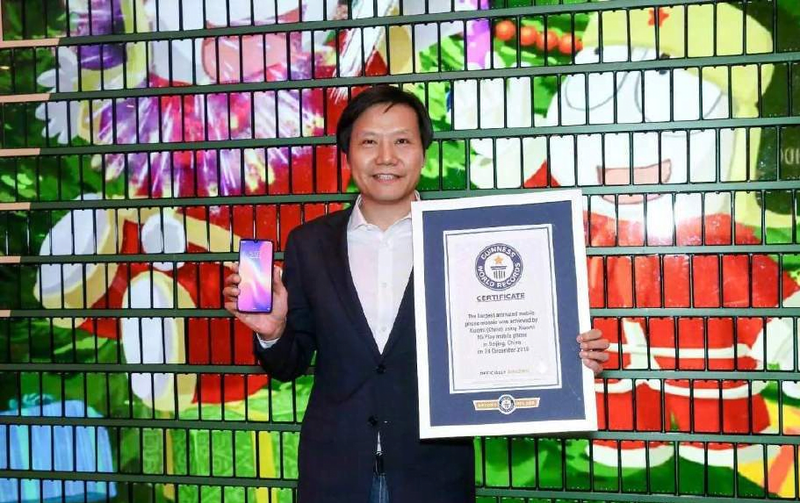 The presentation of Xiaomi Mi Play , which took place this morning in China, allowed Xiaomi to show off its new creation, which allowed it to once again establish a Guinness World Record. In fact, the largest animated mosaic was created using as many as 1,008 Xiaomi Mi Play . 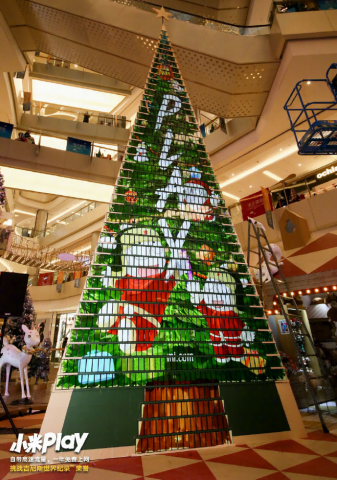 12 hours of work are needed, from 4 in the morning to 4 in the afternoon, to create a 7.9 meter-high Christmas tree, which you can see below in all its beauty. It was not a simple operation, as all the devices had to be coordinated and controlled simultaneously, each of them showing a different portion of the image. The result, however, is of great effect: in 12 hours it was completed (but it took two weeks of design). The process was decidedly complex because it required the simultaneous control of a thousand smartphones to be able to obtain the final image. Mi Play, it has a 3000mAh battery with 5.84 inch Full HD + (1080×2280 pixels) display, 4GB RAM, 64 GB inbuilt storage. There is a 12 + 2 megapixel rear camera and 8 megapixel front camera.